“Medically necessary” is a term used by the insurance industry to classify a procedure they will cover. 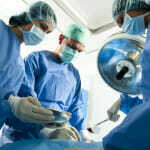 There is a certain set of criteria used by each individual insurer to determine whether they pay for surgery. If a patient does not meet these criteria, then the operation is categorized as cosmetic and elective, and therefore ineligible for insurance coverage. Although the specific requirements of a medically necessary breast reduction vary by company, many are similar. Here, Mountain View plastic surgeons Drs. Samuel Pearl and Alexander Ereso explain some of the requirements that a breast reduction candidate must meet (and that her doctor must document) in order to qualify for insurance coverage. Most insurance companies provide coverage to women whose breasts cause chronic and significant back or neck pain, due to the mass and weight of the breasts or the bra straps cutting into the shoulders. A finding of grooving along the shoulders from the shoulder straps of the bra demonstrates this. Chronic pain can roughly be defined as lasting for at least one year, and significant pain can be loosely interpreted to mean interfering with daily activities. It is important that the pain one is suffering be attributed to having large, pendulous breasts and not due to some other prior trauma. Some insurance companies will require documentation from another physician attesting to this. Regardless, all insurance companies require photographs of the breasts to be taken and sent for examination by the medical director of the insurance company. Another complication that could help classify a breast reduction as medically necessary is if the candidate regularly develops rashes, infection, inflammation or irritation on the skin under the breasts due to their weight and mass. Because of the large size, maintaining good hygiene may be difficult with rashes leading to skin breakdown. Some women’s breasts are so large and heavy that they develop painful kyphosis, which is an abnormal curvature in the spine. As a result, a woman may walk hunched over instead of standing tall, and suffer from related back pain and stiffness. The weight of oversized breasts can, in some cases, cause a condition called paresthesias in the upper extremities; this means that the limbs start to tingle or go numb. Typically, when an insurance company designates breast reduction as a medical necessity, they have some special rules and regulations. They can dictate a rough estimate of how much breast tissue must be removed during the operation. For example, some insurance policies dictate that any breast reduction that removes 500 grams (a bit more than a pound) of breast tissue is covered. In an attempt to correlate differences in body sizes and the amount of breast tissue to be remove, a formula, which includes the patient’s body surface area and weight, can be used to determine the minimum amount to be used. This information is for educational purposes only and should not be construed as fact. It is best to check with your individual insurance company for more information about your plan and what it does and does not cover. The team at Pearl-Ereso Plastic Surgery Center would be happy to give you more information if needed. Please contact us with any questions.